Our skin ages over time due to sun exposure and decreased production of collagen. 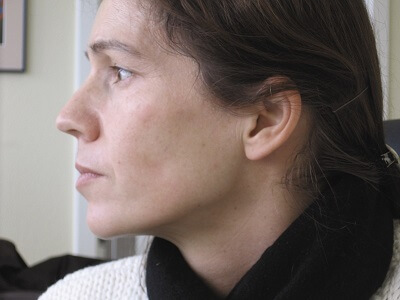 These factors cause deterioration in the skin tone and texture. 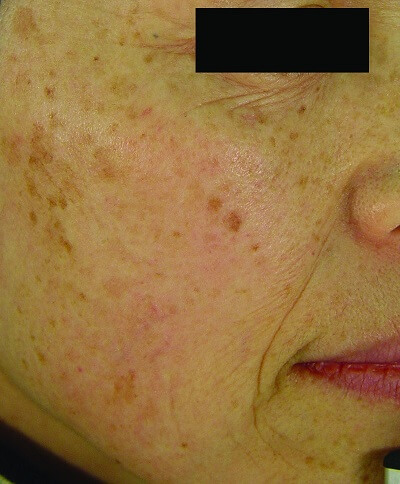 Excessive exposure to the sun over the years can cause visible pigmentation on our faces. 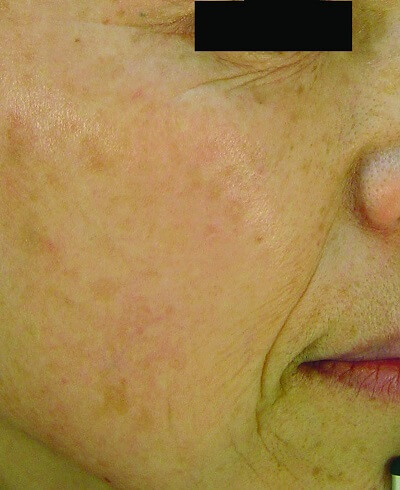 This sun damage, known technically as pigmented lesions, can be very difficult to treat successfully. 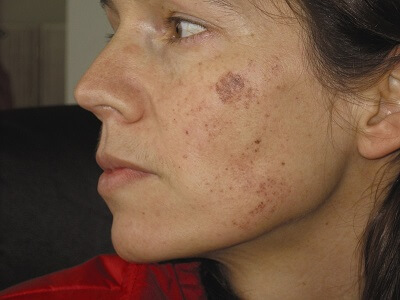 Although many remedies are promoted for this skin problem, the presence of surface pigmentation can be very difficult to treat through topical products and traditional treatments. Our best recommendation for treating pigmented skin is IPL, which stands for Intense Pulsed Light. Using a process called Skin Rejuvenation (or Photo Rejuvenation), IPL has an excellent track record in effective treatment of sun damaged skin. Through multiple sessions a client will also notice other improvements, including the reduction of diffuse redness and the improvement of lines and wrinkles, triggered through the stimulation of collagen production in the body. Redness and Collagen Boosting can also be treated as the primary concerns if relevant, through concentration on those protocols. A course of IPL skin rejuvenation treatments will deliver a noticeable all round improvement in your skin health and better, more even looking complexion. 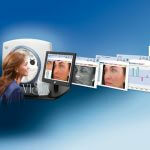 IPL is also an excellent and very efficient solution to the problem of facial thread veins. 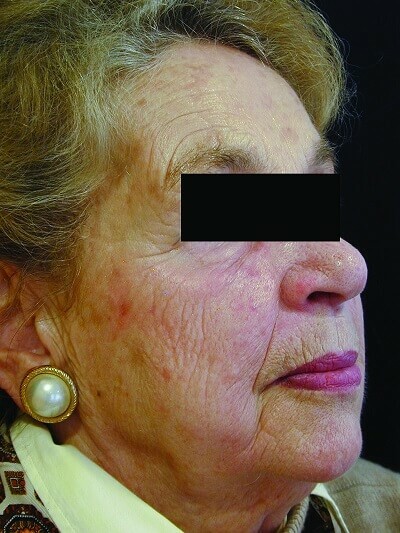 These thin red veins can cluster around the nose and checks especially and can be quite conspicuous. However, they can be treated very quickly and simply with a few shots of IPL. Find out more about the thread vein treatment on our IPL thread vein page. Ellipse treatments of sun-damaged skin make your skin look smoother by removing age spots, other uneven pigmentation and diffuse redness. 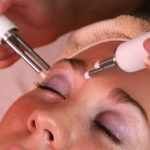 Your skin texture is also improved and many clients report that it becomes easier to apply makeup. Treatments to the face are popular, but other areas can be treated such as décolleté, arms and hands. 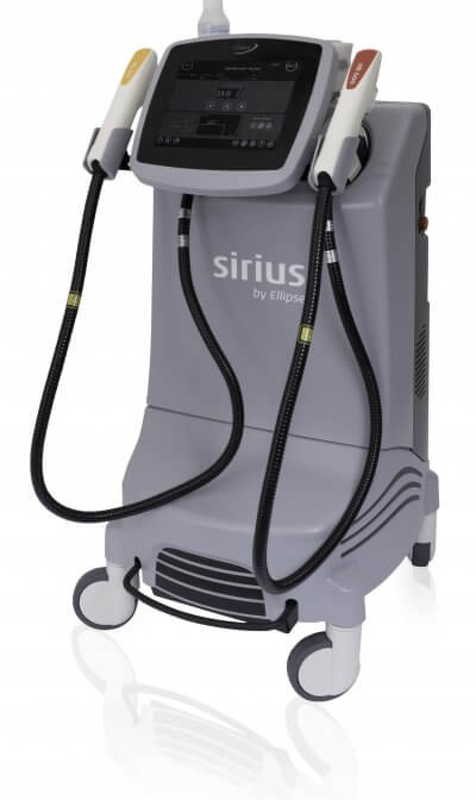 Using the Ellipse treatment device, short, controlled bursts of light are directed at the skin. The device uses a sophisticated, computer system which filters the light to ensure the wavelengths used are absorbed by haemoglobin in the fine blood vessels and melanin in the age pigment. When cells containing a lot of melanin in pigmentation and age spots are treated, the target heats up and is destroyed. Q. Can I be treated? A. 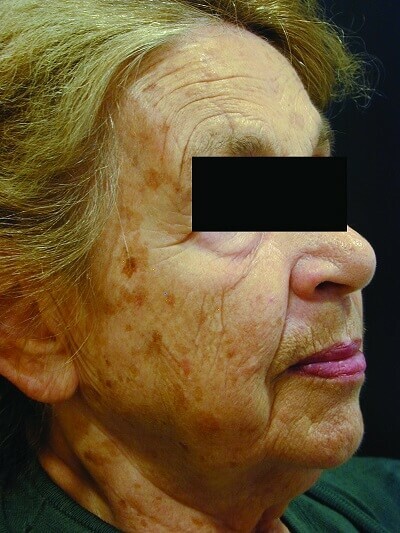 Treatments are most efficient in patients with light skin who are not sun-tanned at the time of the treatment. If your skin is less tanned, the contrast between the pigmentation/blood vessels and background colours of the skin is greater, making the treatment easier and more effective. The process is ideal for most clients with active lifestyles because the procedure requires no downtime and has a low risk of side effects. Q. How long does IPL Skin Rejuvenation take? A. A full-face session takes less than an hour, including about 20 minutes of machine time. You should see an improvement after the first treatment but up to 3 treatments may be required to achieve the full effect. A. This will vary from one client to another. No anaesthetics are required and many patients describe the treatment as practically pain-free, a slight discomfort like a flick from an elastic band followed by a sensation like the feeling of gentle warmth after a day on the beach. Any pain is very momentary. Q. Do I need to take special precautions? A. The light used is completely safe, visible light. It is, however important to avoid tanning (sun, sunbeds or self-tanning products) before and during the treatment period. Otherwise your tanned skin will absorb more light which makes treatments less effective and less comfortable. Generally, no special care is necessary after treatment, but people with sensitive skin may benefit from applying a cold compress to the face immediately after the treatment or use a soothing aloe vera gel. After an IPL Skin Rejuvenation treatment, you should avoid sun exposure for 30 days, even is there is no sign of inflammation in the treated area. Use sun block if sun cannot be avoided. A. You may notice that the skin looks a little ‘dirty’ for a few days following treatment. After that you will find that your skin looks smoother and fresher. You may choose to have 1-2 maintenance treatments annually to keep your clearer, youthful appearance.